Girl Child Network was formed in 1998 at Zengeza 1 High school by Betty Makoni and her ten students to support girls empowerment in the home, school and community. Since formation, Girl Child Network has developed transparent and accountable systems that ensure donations reach girls who need them most. To date we are a proud organisation that has rescued over 70 000 girls from sexual violence and empowering over 300 000 girls who have taken leadership positions all over the world. Rarely does a day pass without a girl contacting the organisation to pass gratitude for the support rendered. The mere fact we have girls who develop to leadership positions show our passion, commitment and hard work and this is clear evidence that our commitment to quality program delivery is premised on our being transparent and accountable in everything we do. We are the first organisation in the world from grassroots level to receive 26 global and local awards of Excellency, Innovation and Commitment. 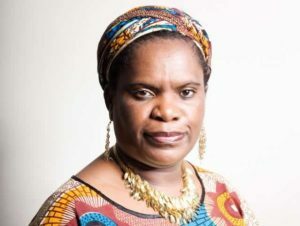 In Zimbabwe, our Founder, Betty Makoni became the first woman leader of a non profit organisation to receive the prestigious national contribution award from Zimbabwe Institute of Management and this is a clear indication of how Zimbabwe as a country appreciated the work we do. To show commitment to culture of transparency and accountability, GCN has conducted external evaluations and financial audits and reports to donors have been submitted timeously. Internally, every project, program or activity has a detailed report. Our internal evaluations have always been conducted consistently and honest comments and recommendations made from peer to peer have fulfilled our notion of empowerment for it comes from within us and not outside. We have found such internal audits and participatory evaluations empowering as they always remind us of our values of honesty and sincerity to ourselves. Girl Child Network has developed a financial management policy and procedures manual which is unique to our context and needs but one that ensures no fraudulent activities take place within our charity. Our system has always used a four signature procedure where a program officer prepares her requisition and she sends that to her supervisor to check if this is in line with donor agreed budget lines. The requisition is then taken to the finance department and thoroughly checked by accounts clerk and then submitted to accounting executive. The accounting executive recommends after checking if all supporting documents like quotations are in place .Then these are passed on to the Executive Director to approve. After a requisition is approved a cheque is issued to respective program officer who is expected to report back on use of funds within 24 hours. The accounting executive examines all receipts and other supporting documents on use of funds after which an internal audit report is produced .If the internal audit report records an error or anything missing a formal letter is sent to concerned officer .It is only after satisfying all stages of internal audit that the Executive Director is expected to sign and clear the financial report. Girl Child Network has a human resources department with six policies on procedures of recruitment, training, remuneration and performance appraisal. In the likely event of a vacant position the human resources officer sends out a call for applications with instruction from the board. All staff job interviews are conducted by board and human resources department. All reports of recruitment procedure are kept for record by the Human resources officer. In the event that a volunteer or intern is invited for formal position the same recruitment procedure is followed. Most donor contracts are one year and in line with labour act, Girl Child Network gives strictly one year contracts to staff. GCN has internship and volunteer policies and these guide selection of volunteers. Girl Child Network is an organisation with a learning culture and daily new values and principles of transparency and accountability are developed and every staff member and girl is empowered to take charge and manage resources at their disposal. Over 200 monitoring and evaluation tools exist to cater for various requests, implementation procedure and evaluation. Girl Child Network has a culture of documentation and everything happening in the organisation is fully documented. In the likely event of such information needed to prove an allegation or any case arising all our document are documented and they are the basis anything is proved right or wrong. We pride ourselves to have developed a financial and program management system that has been replicated by many organisations in the world. Girl Child Network Worldwide has thrived because of generous donations in cash and in kind that come from our families, friends, communities and we built a movement that is premised on valuing every contribution made. Our staff members have been supported by their children, families and friends. former students,parents , spouses, traditional leaders, different political parties, media, donor communities, individuals and virtually everyone in communities we work volunteer their time to helping out. This is what makes ours a unique organisation; non bureaucratic, empowering, decentralised and yet with same principles to remain transparent and accountable. Because we are a best practice organisation we keep focus on what has worked and we continue sharing our systems with many other organisations like we have done in the past.